Lent is a month away. If you’re looking for a devotional resource to use individually, with your family, or with your church, check out Concordia Publishing House’s 2015 Lenten and Easter resources. Singing with the Exiles gives your church a simple, unified way to connect worship, Bible study, and personal meditation during Lent and Easter. Explore the Christological themes of Isaiah 40–55, woven beautifully into complete worship services, pastoral guides for Lenten midweek and Holy Week preaching and teaching, and daily devotions for the whole church. 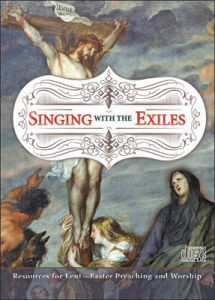 With thematic inspiration drawn from Dr. R. Reed Lessing’s work for the Isaiah 40–55 volume of the Concordia Commentary series, Singing with the Exiles presents prophecies of the Messiah found in Isaiah and their fulfillment in Jesus. Dr. Lessing portrays Jesus as the true and only Savior, the One foretold by God’s prophet, and the only One who can restore humankind to a relationship of life with God through His suffering and death. 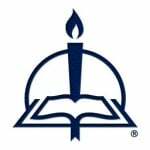 This complete set of sermon resources includes textual notes and sermon outlines to assist in a directed study in preparation for the homiletic task. Each resource provides a customizable sermon, children’s message, and Bible study that follow the series theme. Reed Lessing was on the faculty of Concordia Seminary, St. Louis, for fourteen years and now serves as senior pastor at St. Michael Lutheran Church in Fort Wayne, Indiana. He is author of the Jonah, Amos, and Isaiah 40–55volumes of the Concordia Commentary Series; Restore the Roar, the 2013 Lent and Easter resources for preaching and worship; and sermon studies in several publications, including Concordia Pulpit Resources.